What is your ideal vacation? 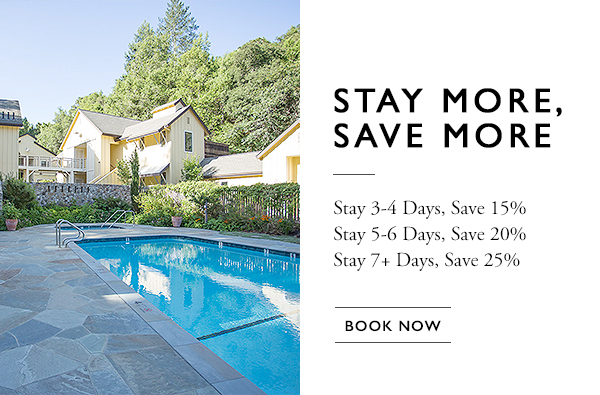 From the world-class farm-to-table cuisine prepared by our Michelin-starred chef to the blissful massage, bodywork, and skin care treatments at our on-site spa, to the gently rolling hills of wine country, the Farmhouse Inn has everything you need for weeks of pure relaxation. And when you’re ready for adventure, Farmhouse has you covered there too. Based less than 10 minutes from our inn, Rubicon Adventures has been thrilling Sonoma county’s outdoor enthusiasts for over four decades. Rubicon has something for everyone, including surfing, stand-up paddleboarding, whitewater rafting, aquatic yoga, and much more. Worried you’re not athletic enough? As long as you’re in moderately good shape, Rubicon can accommodate you, no previous experience necessary. The friendly staff provides expert, personalized instruction to ensure you and everyone else in your party has a safe, adrenaline-pumping good time. After your fun-filled day in the wild, we’ll be eager to welcome you back to the pristine comfort of the Farmhouse Inn.